If the rain gutter system at your Concord home isn’t offering sufficient drainage, call us at JM Reynolds Builders, LLC. If you’re like most property owners, you probably don’t spend a lot of time thinking about your rain gutters. 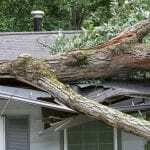 However, without some regular TLC and maintenance, the rain gutters on your home can become clogged with debris, which means they are no longer able to serve their purpose. A rain gutter is attached to the edge of a building in a downward slope, which allows water to drain off the roof to the ground. Without proper drainage, water can collect and pool on the top of a building, which can cause damage over time. Water damage and excess moisture is always cause for concern since it can destroy roofing materials and other building materials, as well as increase the risk of mold growth. When mold grows within your home, you could experience allergic symptoms or even have trouble breathing. If the rain gutter system at your Concord, North Carolina home isn’t offering sufficient drainage, call us at JM Reynolds Builders, LLC. We provide a number of solutions, including seamless gutters that look better than traditional gutter systems. A seamless rain gutter is also less likely to become clogged with leaves and other debris, which means you’ll spend less time cleaning it out. When it comes to rain gutter service, installation, replacement, or maintenance, you can always trust our team of professionals. 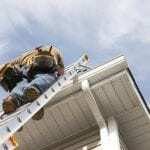 Our owner has more than two decades of experience in the roofing and construction industry, so you can feel confident with the work we do on your home. Adding a new rain gutter system can also reduce the risk of damage, which is always worth the investment. At JM Reynolds Builders, LLC, we install rain gutters in Concord, Kannapolis, Charlotte, Salisbury, Mooresville, Huntersville, Granite, Quarry, Davidson, and Paw Creek, North Carolina.